CakeSpy Note: As with many of the posts from our archives, some of the information may have changed since this was originally posted! New York City is called the city that never sleeps, and with good reason: if you did stop to sleep in this city, you'd miss the sweet smell of bread, cakes and doughnuts baking all night. Below is a list of standout bakeries from our latest jaunt; for a complete list of bakery suggestions or personalized neighborhood walks, check back soon for Cakespy's Cakewalks in New York. Amy's Bread Allegedly the bread is wonderful, but we've never tried it: we were too busy sampling the perfect pink iced yellow cake and red velvet cupcakes, which were divine. Three locations: 672 Ninth Avenue (between W. 46th & W. 47th Streets); 75 Ninth Avenue (between W. 15th & W. 16th Streets); 250 Bleecker Street (at Leroy Street); online at amysbread.com. Billy's Bakery: You might feel dowdy in this hip Chelsea bakery, which is frequented by the beautiful people--but don't let it stop you from going in. Worth the hype, Billy's confections are sweet and well-made, and decorated in a way that is impeccably homemade, in a vaguely Martha Stewart-ish way. 184 Ninth Avenue (between W. 21st & W. 22nd Streets); online at billysbakerynyc.com. Buttercup Bake Shop: There are camps which vote for either Buttercup or Magnolia (click here for the backstory), but regardless, both are worth a visit. Where Magnolia embraces a hipper take on the 50's style cupcake, the Buttercup Bake Shop offers up cakes which are a little bit more refined, a little more subtle in keeping with their uptown location--but no less delectable. Two locations: 973 Second Avenue (between E. 51st & E. 52nd Streets); 141 W. 72nd Street (between Broadway & Columbus Street); online at buttercupbakeshop.com. Columbus Bakery: If you can put up with the entitled attitude of many of the stay-at-home Upper West Side moms and their kids (and nannies) who frequent the place, you'll be in for a treat--the highlight is their breakfast pastries, including dense and delicious tea cakes and scones. 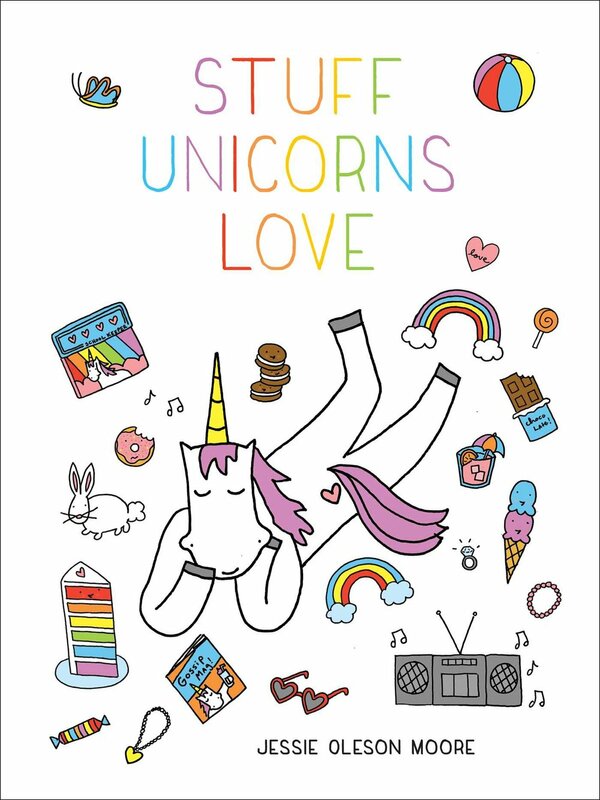 Plus, they have the cutest logo we've ever seen. 474 Columbus Avenue (between W. 82nd & W. 83rd Streets). Ceci-Cela: A little piece of Paris in downtown New York; Ceci-Cela channels the French patisserie with perfection, with exquisite and detail-oriented tarts and gateaux. 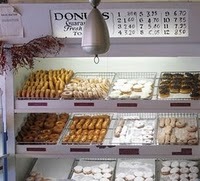 Two locations: 55 Spring Street (between Mulberry & Lafayette Streets); 166 Chambers Street (between W. Broadway & Greenwich Street); online at ceci-celapatisserie.com. Cupcake Cafe Bakery: Buttery, rich icing; dense, thick cake; bold, sculptural iced flowers: these are the hallmarks of the cakes and cupcakes artfully rendered by the Cupcake Cafe. These cupcakes are an acquired taste--to be eaten slowly, much as a fine wine is to be sipped with care. OK, so maybe we just waxed a bit poetic, but it's true: to the cake connaisseur, these are worth their weight in gold. 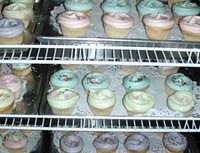 Two locations: 545 Ninth Avenue (between W. 40th & W. 41st Streets); 18 W. 18th Street (between Fifth and Sixth Avenues); online at www.cupcakecafe.com. Kasjan Bakery: If you're in the mood for pastries and cakes which are unapologetically rich, heavy and creamy, you'll want to stop by Kasjan, a Polish bakery on the fringe between the hip Williamsburg and still not-completely gentrified Greenpoint neighborhoods in Brooklyn. Who knew Polish napoleons could be so good? 668 Manhattan Avenue (Between Norman and Nassau Avenues), Brooklyn. Lafayette French Pastry Bakers: As authentic as you can get, this bakery is second-generation New York, and refreshingly devoid of bored hipster counter staff. Although gruff at first, once the head baker warms up to you, you'll have a friend for life--not to mention the most delightful, authentic french-inspired cakes and patisserie, cream filled and dazzling. 26 Greenwich Avenue (between W. 10th & Charles Streets). Magnolia Bakery: After all of the movie and tv features, all of the magazine articles, the scandal and everything--they're still pretty bitchin' cupcakes. But next time you go--once you get past the bouncer that is--don't pass up the Nilla Wafer pudding or plentiful cake slices, which are equally swoon-worthy. 401 Bleecker Street (at W. 11th Street). Make My Cake: After their original location on 110th Street closed, a depression set over the city that wasn't over until they re-opened (2 locations!) further uptown. Like the soul food version of cake: rich, buttery and deeply satisfying, not to mention beautiful. Two locations: 121 St. Nicholas Ave. (at W. 116th Street); 2380 Adam C. Powell Blvd (at W. 139th Street); online at makemycake.com. Muffins Cafe: True, this place does not sell cakes or cupcakes--but this teensy store front not too far from Columbus Circle sells muffins so delightful, they might be sold out of your favorite flavor if you don't go early! We favored the pumpkin and corn muffins, but the menu does vary from time to time. 222 Columbus Ave.
(between w. 70th & w. 71st Streets). Peter Pan Bakery: The cakiest, densest and least pretentious doughnut shop we've ever seen; believe it or not, the teenage Polish workers in pink aprons manage to be completely un-ironic. And the prices are like a throwback to a time we can't even remember--many items are less than one dollar (!). 727 Manhattan Ave. (between Meserole and Norman Avenues), Brooklyn. Pozzo Pastry: If you'd lived in New York during the 1950's Valley of the Dolls era, you might have walked by this bakery and it wouldn't be a bit different than it is today. Visit Pozzo Pastry for classic cannolis and pannetone, but don't neglect the cakes--the strawberry shortcake is like a taste of an idealized past. Rocco's Pastry Shop & Espresso: Rocco's is known for its Italian pastries, but for Cakespy the standout was really the drop cakes, also known as black and whites, a New York tradition. The ambience at this West Village bakery is old-school; the cakes are as comforting as if Grandma made them. 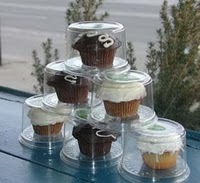 243 Bleecker Street (between Leroy & Carmine Streets); online at roccospastry.com. Sage American Kitchen Bakery: An unexpected treat, Cakespy sleuthed these amazing cupcakes at Dean & Deluca, where they were labeled as having been from Sage American Kitchen Bakery, which turned out to be worth the trip to Long Island City, Queens; their cakes are perfect in every way: fresh, buttery and yet complex--they are spiced to perfection. They'll make you a believer in carrot cake. 26-21 Jackson Avenue, Long Island City, Queens; also available at various Dean & Deluca locations. On the web at sageamericankitchen.com. Soutine Bakery: So unassuming from the outside--this storefront is on a residential block, from which the enchanting smell of French pastry fills the air in the mornings. Don't be fooled by the tiny facade--inside they create cakes which count Ruth Reichl amongst their loyal followers. 104 W. 70th Street (at Columbus Avenue); online at soutine.com. Sweetheart Coffee: It's got to be hard to be the bakery just a few blocks away from Magnolia. Nonetheless, this little gem has soldiered on through the years, offering up Argentinian-inspired pastries which are homestyle and endearing in their occasionally lopsided looks; many of them are vegan (although they've labeled the vegan products "Diet"--which we wish they wouldn't). 69 Eighth Avenue (between Greenwich Avenue and W. 13th Street). Tisserie: Holy Viennoisserie! This Parisian-style patisserie (started rather inexplicably by two brothers from Venezuela who have another location in Caracas) is perched on the northwest corner of Union Square like a beacon, filled with rows and rows of beautiful pastry, tarts and cakes. In keeping with their european inspiration the sweets are sugary but not too sweet--the bittersweet chocolate used in their cakes is rich and complex, with an aftertaste that you'll wish could last forever. 857 Broadway (at W. 17th Street); online at tisserie.com.